Shugah time . 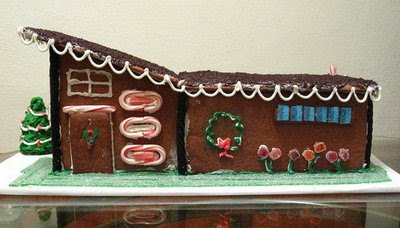 . . here is a fresh look at some of my favorite modern gingerbread houses. If you are not in the mood to bake and make, you can still purchase #1 from Red Envelope (via Children's Illustration). #2 CBGB is from Honey Bunches of Trouble's Flickr #3 is from yumsugar via here , #4 is from bellewood gardens. 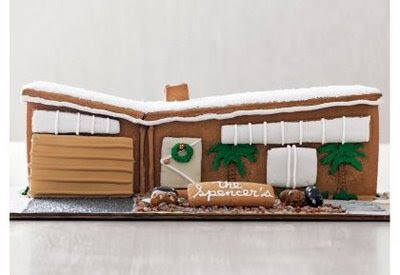 Seen any more modern gingerbread darlings out and about, or made your own? Do share, I would love to see. Those are amazing...who knew penguins were anarchists? yeah, it cracks me up how the creatures are wearing the ramones and other band t-shirts! why didn't someone think of this earlier? we decorated one tonight- i love them!! it wasn't very modern though! 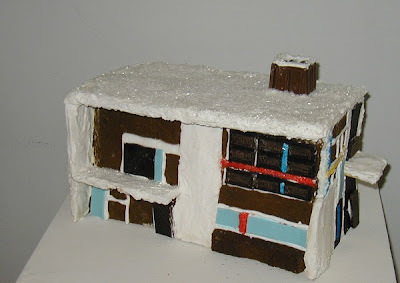 Please remove my photograph of the CBGB gingerbread house from your blog. Kathryn Yu, your photo has been removed. 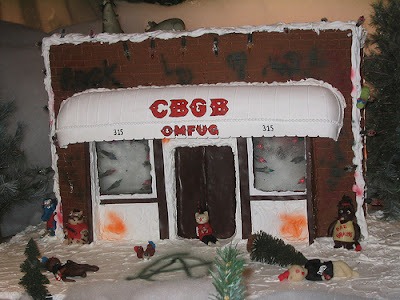 The current CBGB gingerbread photo posted is from Honey Bunches of Trouble's Flickr, used with permission. Thanks. The CBGB! Its a fabulous photo!